It’s now September, and most people say goodbye to summer and transition into their “back to school” routine or life. I remember exactly a year ago I moved to Taipei to start my life as a university student again, learning a new language. At the same time I wanted to maintain my daily yoga classes as I’ve had back in Canada, preparing myself for my yoga teacher training in New Zealand for February 2016, which meant finding a suitable yoga studio to attend classes regularly. The big fancy yoga studios in Taipei (True Yoga, Pure Yoga, Space Yoga, and Yoga Journey) are very expensive since once has to sign a one year contract with them on top of initial membership fee. These studios are very rigid with their one year contract, so even if you opt out before 12 months is over, you still have to pay the full year. Another undesirable factor in joining these studios is that some of these yoga studios may charge foreigners a higher fee than a local; I found this out when I visited one of the locations of True Yoga. The sales representative told me because I’m a foreigner, I have to pay higher. I found that very discriminatory. Needless to say, I found these big fancy yoga studios unappealing in terms of the high pricing ($150-200 USD/month) and big class size (maximum 50 in a class). When I was about to give up on ever finding affordable yoga classes with a smaller class size while living in Taipei, an American classmate introduced me to her neighbourhood yoga studio: Bodhi Yoga. At the same time I discovered that if I knew better Mandarin, I would be able to find smaller yoga studios with affordable pricing. Where: They have 2 locations in Taipei, Guting and Songjiang. I’ve only been to the Guting location since it was close to my university and it was convenient to youbike there or take the MRT, as it was right in front of exit 1, Guting MRT. They also offer various packages for students such as 1 month, 3 months, 6 months or 12 months unlimited. Students can also buy 20 class or 40 class package deals. I chose the 3 months package for around $350 USD. Where: It is a relatively new yoga studio, about 13 months old. A few minutes walk from Liuzhangli MRT station. Why: Cozy, small classes ranging from 1 student per class to 10, caring and dedicated yoga teachers who take their time to get to know you and chat with you after class if you have any questions, a variety of different creative yoga classes offered such as combining yoga with dance, and there’s also Pilates class, friendly front desk staff, free water refill and light snacks for after class, yoga mats and props are provided, and warm welcoming atmosphere. What: Any type of yoga style according to yoga teacher of the week. It is run by a group of volunteer yoga teachers who teach donation yoga classes weekly. 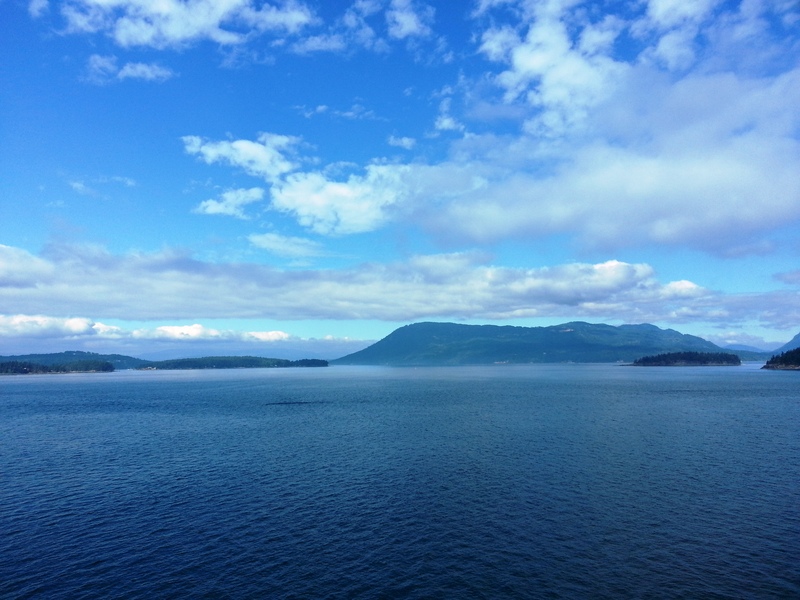 I just came back from a much-needed relaxing one week vacation to Vancouver, British Columbia after one intense month of wrapping up the end of the school year, and getting ready for my exciting summer teach abroad opportunity, and moving to a new school for September. Vancouver is such a beautiful and eclectic city in Western Canada. Whether you are an outdoor enthusiast, a foodie, a history buff or interested in trying out a variety of activities, there is definitely something to do for everyone there. 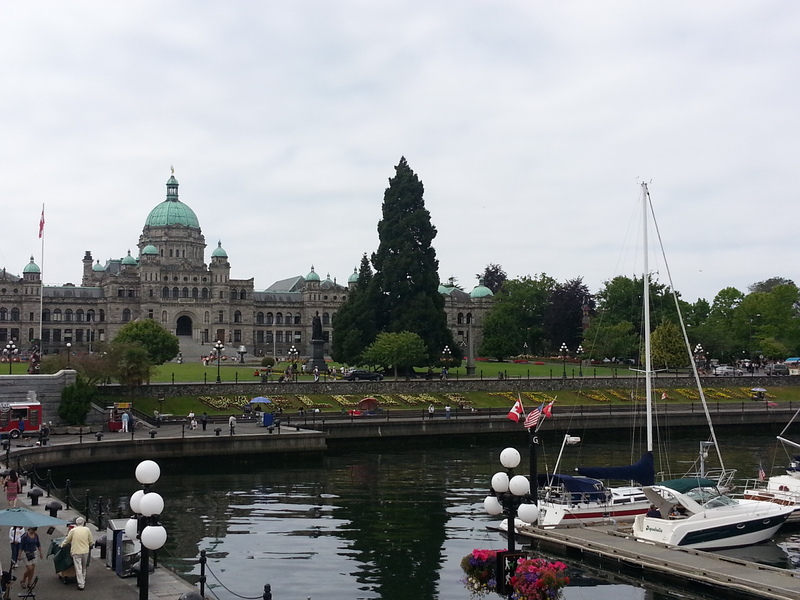 Here are my top 10 favourite things I enjoyed doing and seeing while in Vancouver and hopefully this list will entice you to visit Vancouver as your next travel destination! 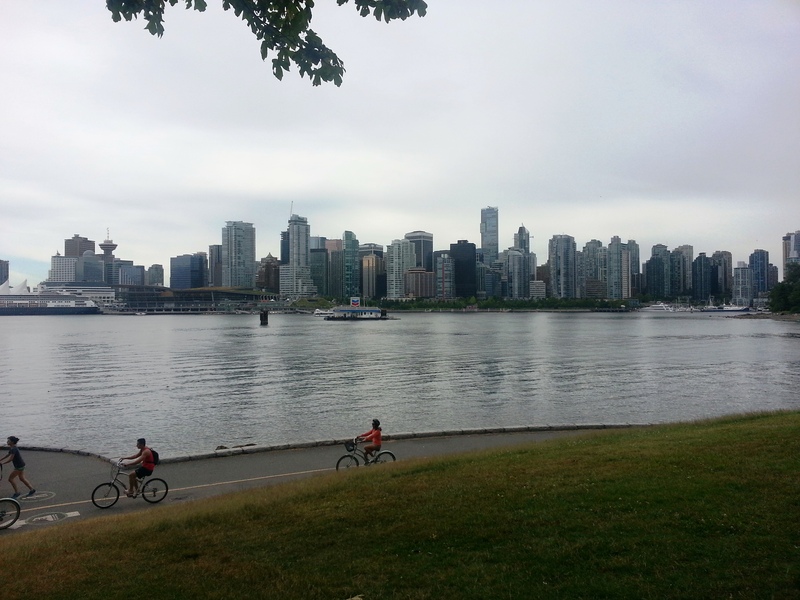 Stanley Park is a huge public park located in the West End of Vancouver and it is very bike friendly. It has a path called Seawall, where one can bike, cycle or in-line skate around the park. Sheena and I enjoyed a very pleasant day biking all around the Seawall, savouring the scenic views along the way and stopping whenever we wanted to take photos or rest. There are benches spread throughout the park and logs placed on the beaches for sitting. This urban park is like a peaceful paradise in the midst of the city. 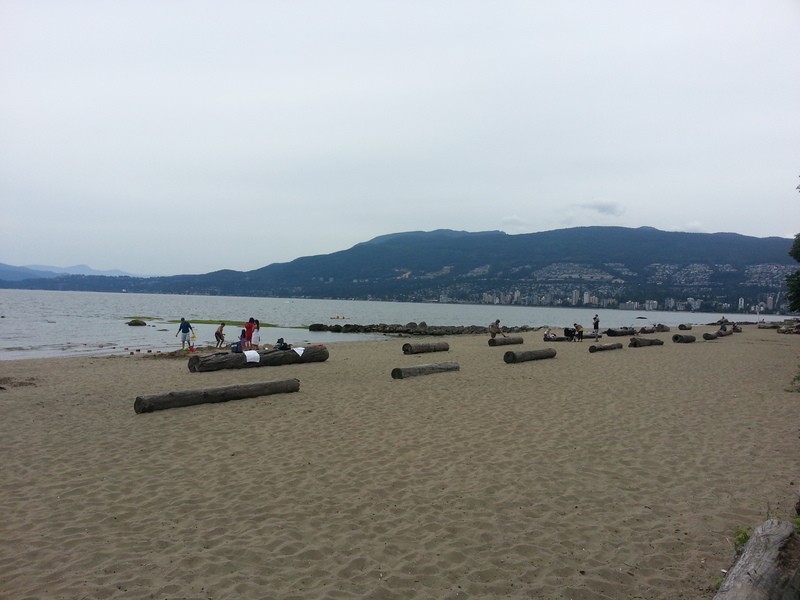 Tip: End your biking at Kitsilano Beach where you can get a beautiful view of the sunset around 9pm. If you love Shakespeare as much as I do, this summer festival cannot be missed! 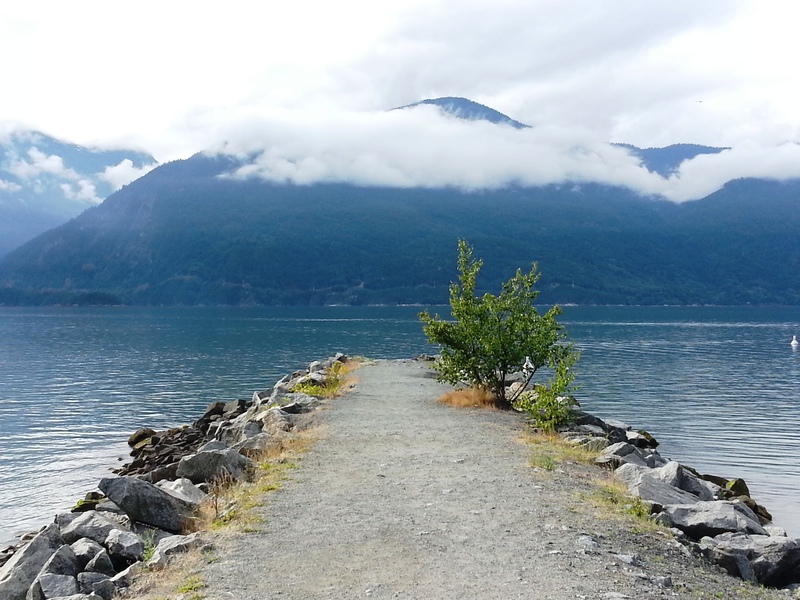 It runs from June to September and is located by the beautiful waterfront in Vanier Park. Plays are performed in open-ended tents, where the backdrop is the magnificent view of mountains, sea and sky. We saw an evening performance of “A Midsummer’s Night Dream” and loved it a lot because it added a modern twist to it with some 21st century fashion and music thrown in as well. Tip #1: If you have time before the show, walk around the waterfront in Vanier Park so you can see the natural beauty all around you. Tip #2: The weather cools down in the evening, so dress for the evening weather by either wearing layered clothing/long pants or bring a light jacket. 3. For Yogis & Yoginis: Yoga Everywhere! You can easily spend a few hours here because the suspension bridge is not the only attraction; it also has trails for walking/hiking. 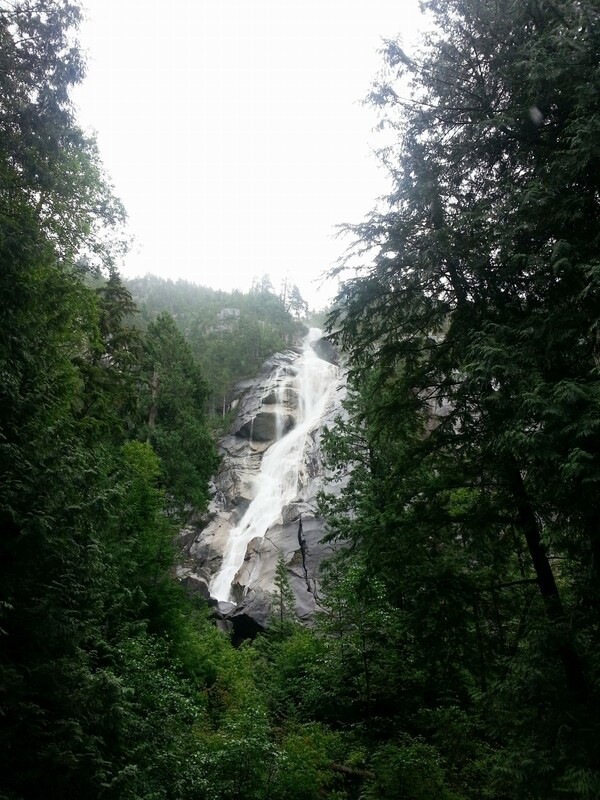 As well, it has its Treetops Adventure and Cliffwalk where you can walk to get closer views of the rainforest, and the Capilano River and Canyon. I found it fascinating that in the middle of the city there is a rainforest. 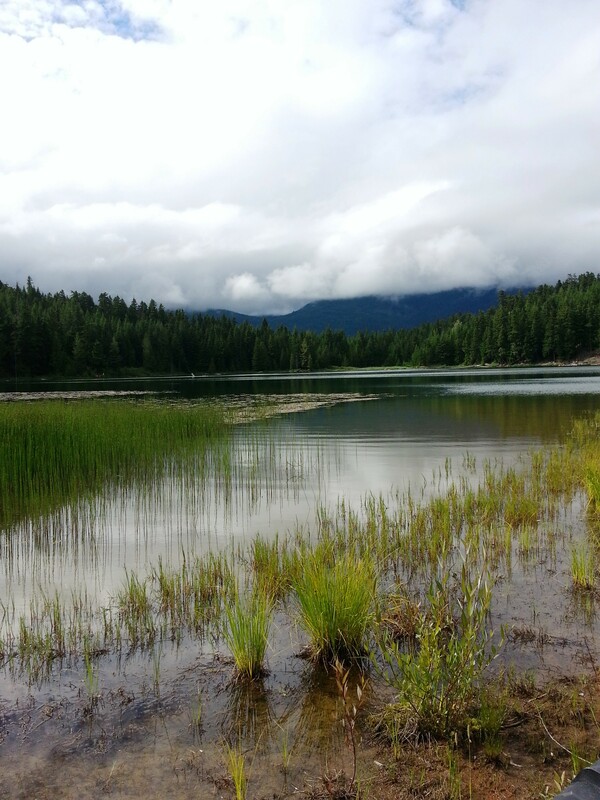 I learned a lot about vegetation in this part of the province during this trip. This place is another peaceful oasis away from the hustle and bustle of the city. Tip #2: The fudge is freshly made here and is a must eat! There are so many flavours to choose from and the fudge shop is located in the souvenir gift shop called “Trading Post”. I think the sea salt chocolate fudge is out of this world!! Tip #3: If you’re not too tired after this adventure, you can drive over or take the bus to nearby Grouse Mountain to hike up the challenging and steep hiking trail known as the Grouse Grind. It takes about an hour and a half to hike all the way up. 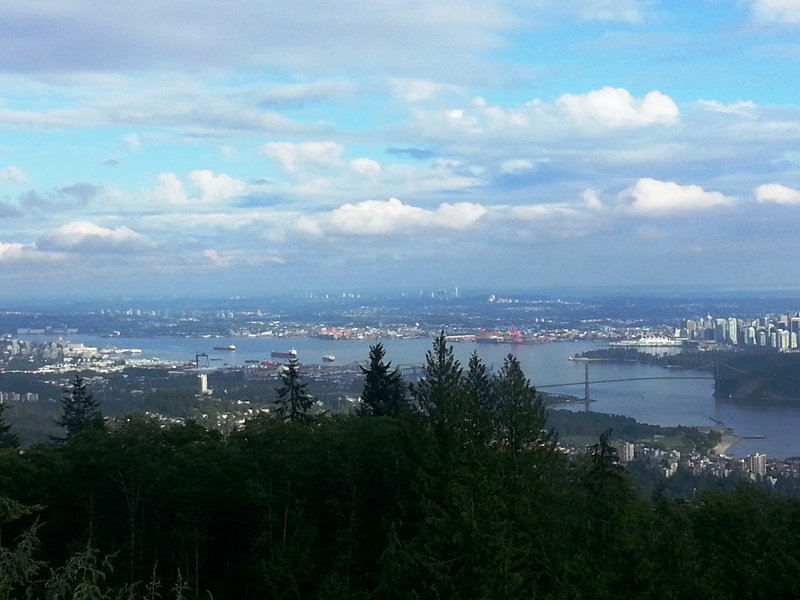 Once you’re up there, you can get a beautiful view of the city, sea and mountains. 5. For Foodies and Sushi Lovers: Sushi is a Must! As my friend Greg pointed out when we were on our city tour walk, Vancouver is a highly Asian-populated or influenced city. It seems almost around every corner, we were greeted by Asian restaurants. Therefore, what better place to have freshly made sushi by Japanese chefs than in Vancouver? We tasted a variety of sushi from restaurants and even bought some from this Japanese supermarket (“Fujiya Japanese Foods” on 912 Clark Drive) for a picnic at Queen Elizabeth Park, another beautiful park with gardens and panoramic view over the city. 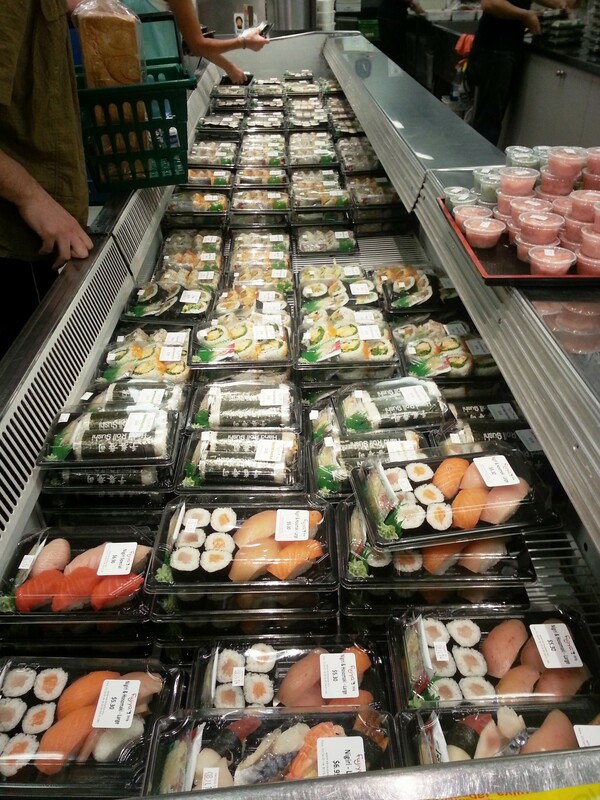 There were so many different kinds of sushi to choose from in Fujiya that it kind of got overwhelming. 😛 My final verdict on the sushi from Fujiya is that they are not only cheap, but also fresh and super delicious! Tip: If you come all the way to British Columbia (BC), you have to try the BC Roll. It is a roll that has barbecued salmon and cucumber since BC is known for its wild pacific salmon. I think it’s so yummy! 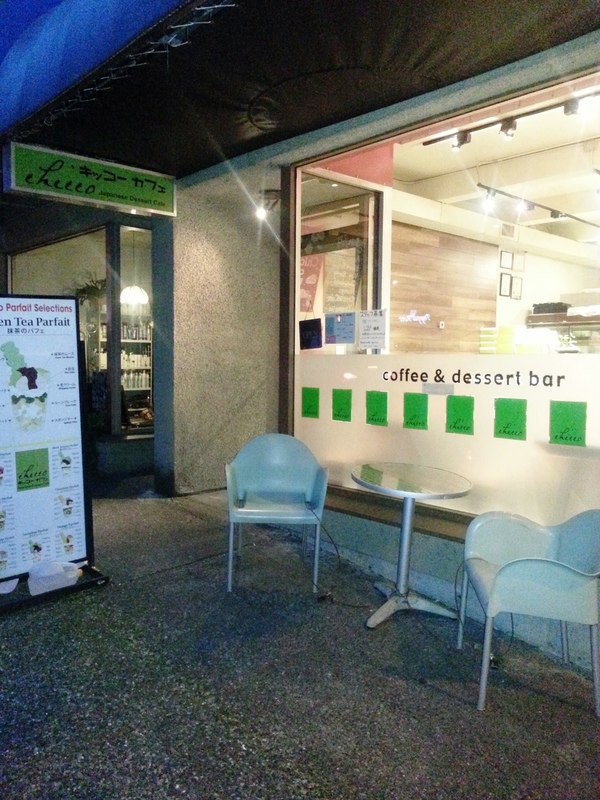 We discovered this cute Japanese cafe on Robson street that specializes in yummy parfaits for desserts. Vancouver is surrounded by beaches, so it is definitely worth to hit up one or more of these beaches and enjoy them whether you want to swim, walk, windsurf, sail, bask in the sun or just play in the sand. I thoroughly enjoyed just sitting on one of its many logs placed on these beaches, observing the beautiful landscape. 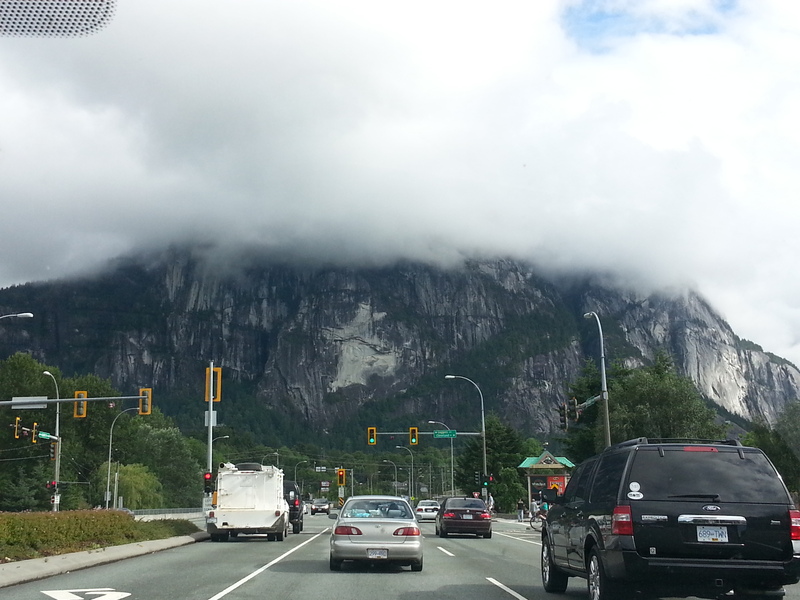 Stawamus Chief (a.k.a as the Chief) where people challenge themselves by rock climbing! 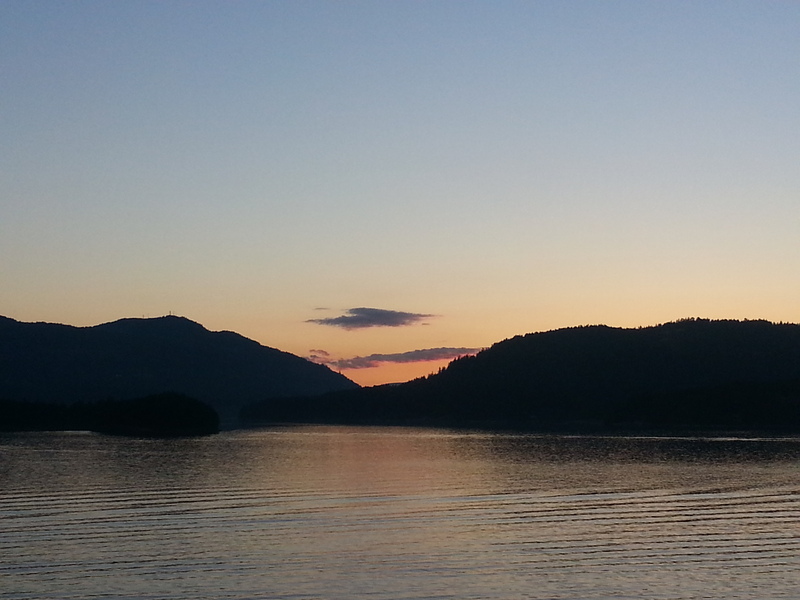 Tip #2: The scenic views from the ferry boat was simply stunning. Make sure you go on to the top deck to experience the magic and natural beauty all around you. Bring a light jacket/sweater as it tends to be cooler outside. 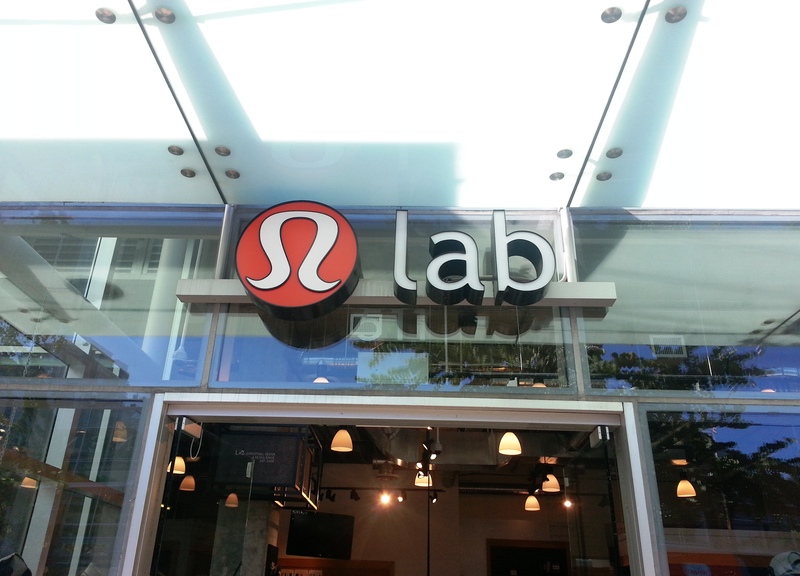 If you are a fan of Lululemon clothing, you have to visit this place, where it all began! Be prepared that it is a small retail and fashion space where innovative Lululemon items are designed, produced and sold all in one space. The majority of the products are in neutral colours of black, white, gray and navy blue, and are created in limited quantities. I found the staff to be super friendly, helpful and honest. The cool feature of this store is that you get to see the seamstresses at work, creating the designs for this shop only, based on the design boards. Lastly, you get pleasure knowing that when you walk out of this shop, you are one of a very few people owning a piece of unique Lululemon clothing, made in Vancouver, that will most likely not be sold in the regular Lululemon stores.